For coffee lovers, it’s mostly a case of different strokes for different folks. You might prefer a French press, single serve, stove-top or Aeropress, but one thing is for sure, you’re going to wait a while for your coffee to brew. 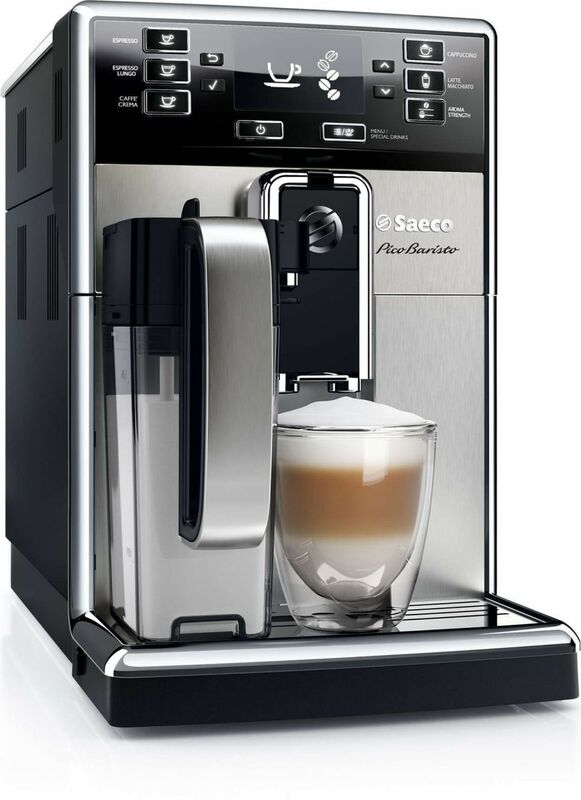 If pure convenience is a requirement, step up to the Saeco PicoBaristo. Switch it on and it takes 30 seconds to warm up. Add another minute and a half and there’s a fully formed cappuccino in your cup, complete with foamed milk. Of course, the problem with this is that you find yourself constantly drinking coffee, and coffee beans don’t come cheap. But, judging by the price of the machine, that should not really be a problem. And it’s not just cappuccino that can be brewed, since there are nine other coffees on offer, including espresso, flat white, latte macchiato, caffè crema and the lesser known ristretto (basically an espresso with less extraction time). Noticeably absent was a plain americano, well substituted though by a caffè crema. If you have a problem with the out-the-box cup sizes that are too small, you have two options. Either press a selection twice for a double serving, or programme the button for a customised pour. Aroma strength can also be adjusted from very mild to very strong, while there’s ten grind settings to manage the ceramic grinder. There is also the option for only hot water or frothed milk. Expectedly there is upkeep to your coffee machine. At the start you need to add the AquaClean filter to help reduce limescale, with Saeco noting that if used correctly machine descaling only needs to happen every 5000 cups. Although I tried my best I didn’t manage to hit that total in the review period, so I can’t comment on how difficult that is (not much I would think going on the machine’s ease of use in general). More common is the cleaning of the drip tray, brew group and coffee ground container, but these are minor sacrifices in the quest for constant coffee. Far greater coffee connoisseurs than me should be able to give an exact breakdown of the flavour, crema and aroma on offer through the Saeco PicoBaristo. Apart from a disappointing flat white, I enjoyed them all, although I tended to stick with the caffè crema. Two quick things. The machine is pretty loud, so if you think you’re going to get away with brewing while your spouse is still sleeping, forget about it. It also kicks up a fuss a few minutes after your last brew when it cleans itself. Secondly, cup placement is key when using the additional milk frother, since you need to make sure that your cup is underneath both the coffee and milk dispenser. 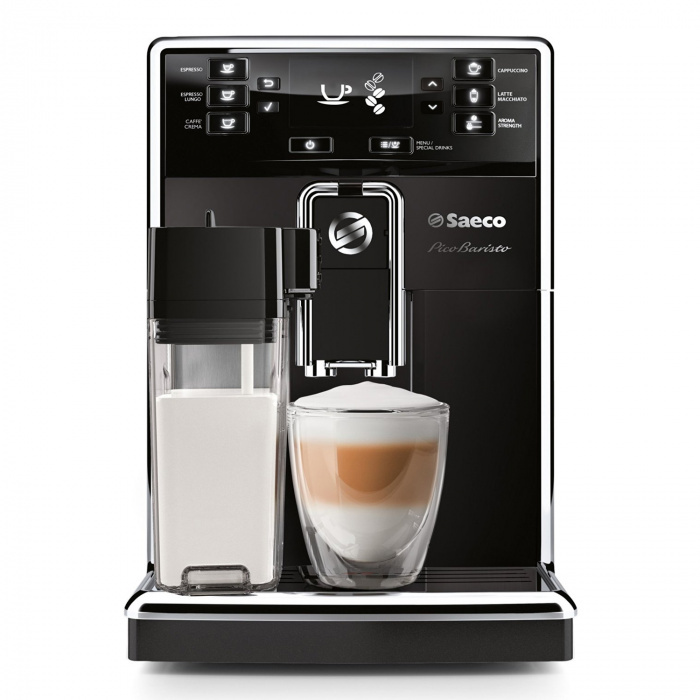 For pure convenience there are few coffee brewing techniques that can stand up against the Saeco PicoBaristo, with just over two minutes needed from switching the machine on, till coffee in your cup. But this comes at a price, and in the case of the PicoBaristo, you’re going to pay R13 999.